To explain some of the main ideas of the Minimal Model Program and some of the tools used, we use some basic facts from graph theory. In particular, we describe a directed graph associated to the category of projective varieties. For this reason, we recall some of the basic definitions in graph theory. 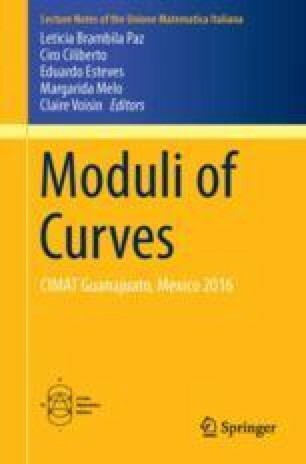 These are the notes for the CIMPA-CIMAT-ICTP School “Moduli of Curves” in Guanajuato, México, 22 February–4 March 2016. I would like to thank the organisers and all the participants for the invitation and for giving me the opportunity to present this material at the school. I would also like to thank the referee for reading a preliminary version of these notes and providing many useful comments.